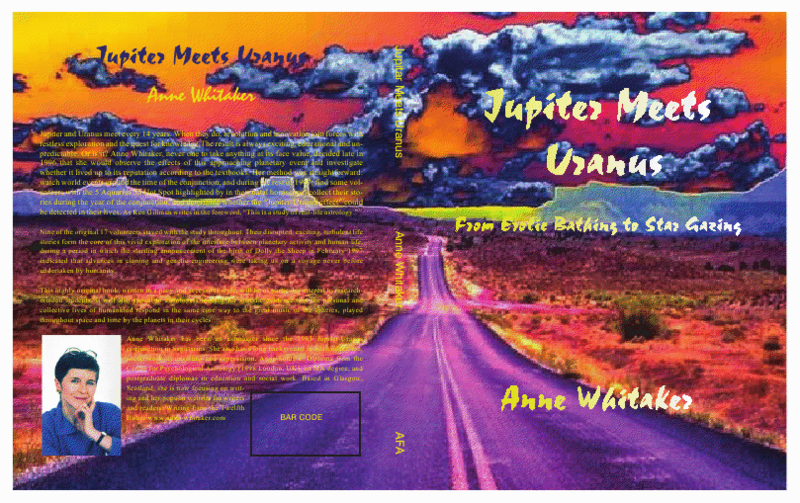 ‘ I LOVE your book Anne, I imagine it is the definitive work on the Jupiter/Uranus cycle, and I for one, have been given a much deeper insight into this cycle thanks to your work. Your style of writing makes it accessible for the academic as well as the layman, and that is a gift. I hope for more books by you to read, and keep in my library, although very thankful to have your website at hand. This entry was posted in Uncategorized and tagged "Jupiter meets Uranus", 14-year Jupiter/Uranus cycle, 2010/11 Jupiter/Uranus conjunction, American Federation of Astrologers, Jupiter/Uranus conjunctions in Aries and Pisces of 2010/11. Bookmark the permalink.